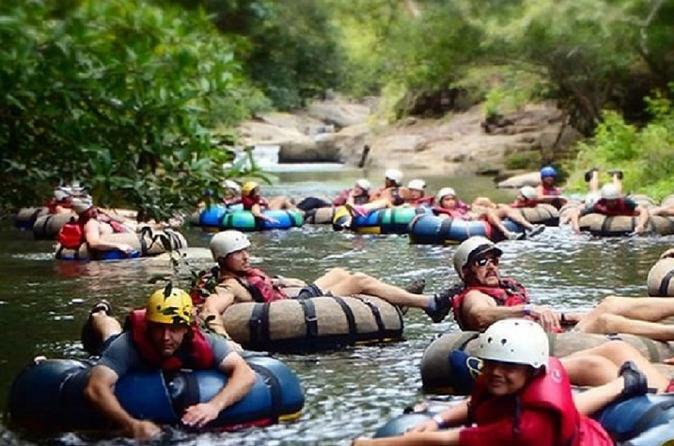 Fill your day at Rincón de la Vieja with adventure and Costa Rica’s pure nature with the One Day Adventure Pass. 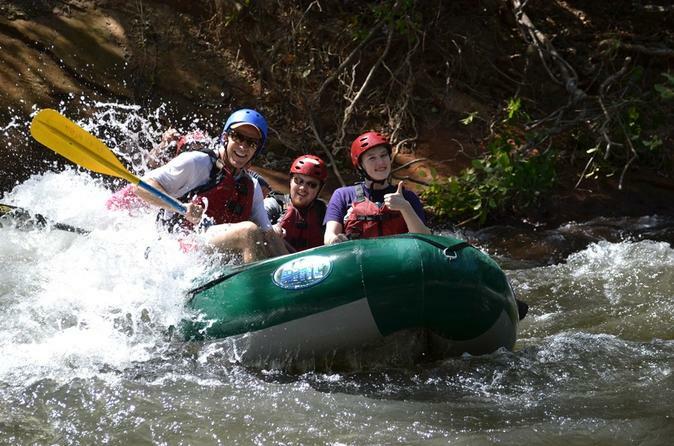 Enjoy a full-day tour going white water rafting at the Tenorio River from Guanacaste. You will encounter unsurpassed beauty and stunning wildlife scenery that will take your breath away and, at the same time, test your courage. 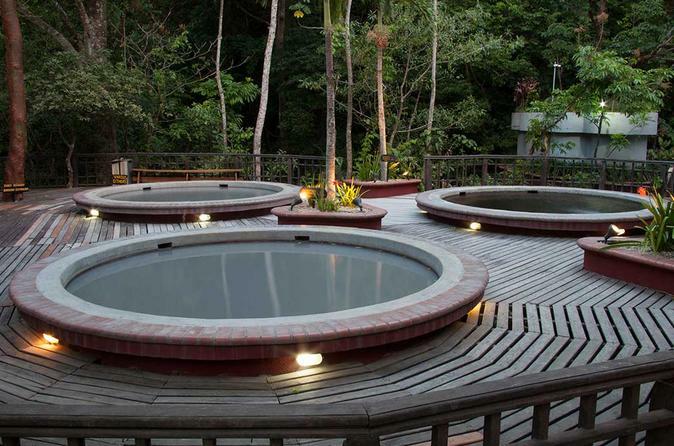 Venture forth to the north side of Rincon de la Vieja the only side in the rainforest with blue rivers and natural mineral hot springs for eco-adventure! Discover a rain forest paradise with exotic plants, animals and cascading waterfalls. After the first adventure, there is a delicious lunch, 4 hot springs pools, a fresh-water pool with a bullet water slide, natural mud bath and sauna, a botanical gardens with over 700 varietals, the butterfly farm and much more. 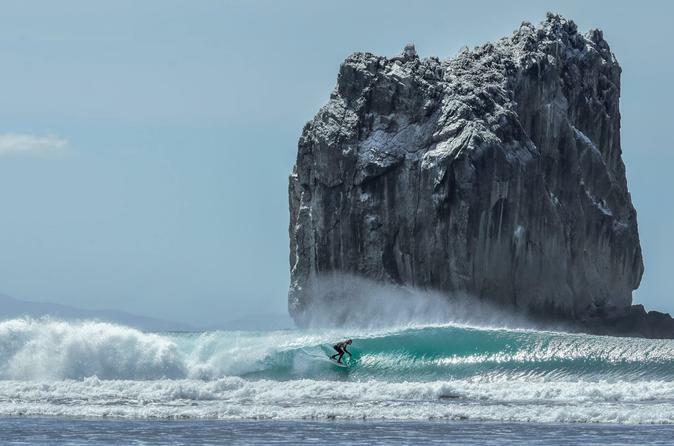 Costa Rica is home to the famed Witch’s Rock and Ollie’s Point, both world class breaks that are every surfer’s dream. Their awesome waves and their inaccessibility make them both favorite destinations for surfers. Located in Santa Rosa National Park, the easiest and quickest way to these waves is an hour-long boat ride across the Gulf of Papagayo. This practically guarantees a non-crowded beach and an unbelievable experience. Playa Naranjo, in front of the legendary Witch’s Rock, is a beautiful, kilometers-long beach that is frequented by numerous types of wildlife. Playa Portrero Grande, or Ollie’s Point, is a bit to the north of the other beaches, and had its waves immortalized in the movie Endless Summer II. The perfect 8-day, 7-night tour of what makes Costa Rica one of the most popular destinations in the world. Experience its natural beauty, breathtaking rainforests, exceptional beaches and best attractions. Enjoy stays at 5 great hotels, 6 fantastic activities including zip lining, horseback riding and more; all in the comfort of a state of the art bus with an expert guide and professional photographer. This 8-day Costa Rica package includes airport shuttle transfers, transportation between tour attractions, lodging in some of the best hotel options in the country such as The Hilton Garden Inn, El Establo Resort, Hacienda Guachipelin or Hotel Borinquen and Hotel Villas Playa Samara. In addition to that, your tour will include any entrance fees that may be charged at various attractions and activities, as well as accompaniment by our fully bilingual guides and a great photographer. This complete 8-day, 7-night tour highlights the best of 2 neighbors: Costa Rica and Nicaragua. Discover the beautiful colonial city of Granada, Nicaragua, and the beautiful natural treasures of Costa Rica (i.e. the majestic Arenal Volcano and the spectacular Samara Beach in Guanacaste). Enjoy 4-star accommodation along the trip, the best locations of two countries, and excellent service; all provided in the comfort of a state of the art bus with an expert guide and professional photographer. 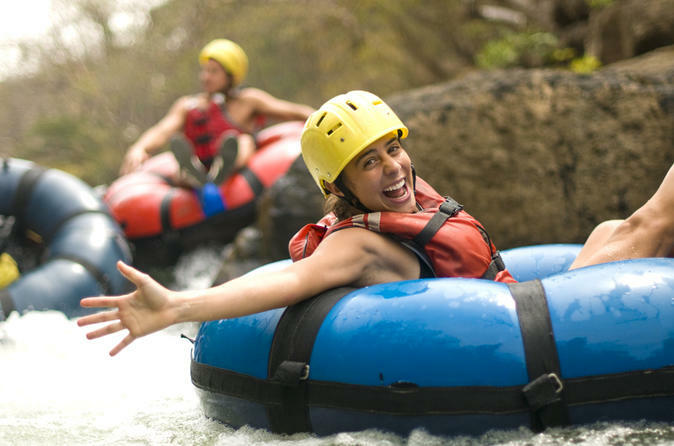 The attractions you will enjoy in this Costa Rica and Nicaragua tour are many: zip lining and skywalk tours through the rainforest, river rafting, horseback riding tours through the countryside, waterfalls, guided bird watching, authentic traditional towns, tropical rain and cloud forests and amazing beaches in both Costa Rica and Nicaragua. 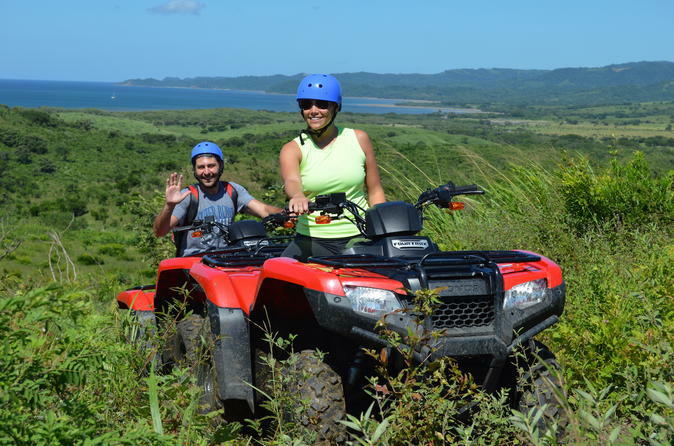 Enjoy a 2-hour ATV tour towards El Chaguite while enjoying views of the ocean and nature. 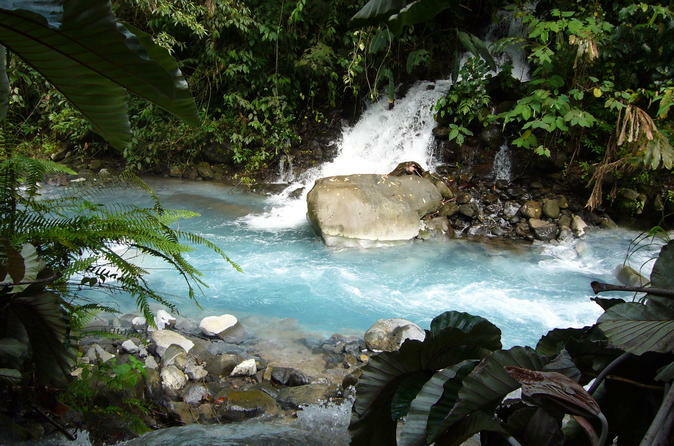 Only here along the north side of majestic Rincon de la Vieja volcano is a lush rainforest with blue rivers, grand waterfalls and emerald green hot springs. Your adrenaline will rush across nine long zip lines, woven from treetop to treetop through the rainforest, and will peak afterward when jumping off the platform like Tarzan for a swing across the river. The longest line measures over 600 meters! Walk in a private park to experience the breathtaking blue volcanic river, cascading waterfalls, exotic plants and wildlife. Then, lunchtime, botanical gardens, butterfly farm, mud bath and swim in "green" natural mineral hot springs pools. Experience paradise on Earth. Enjoy a full day of great activities at the most beautiful place around the area. 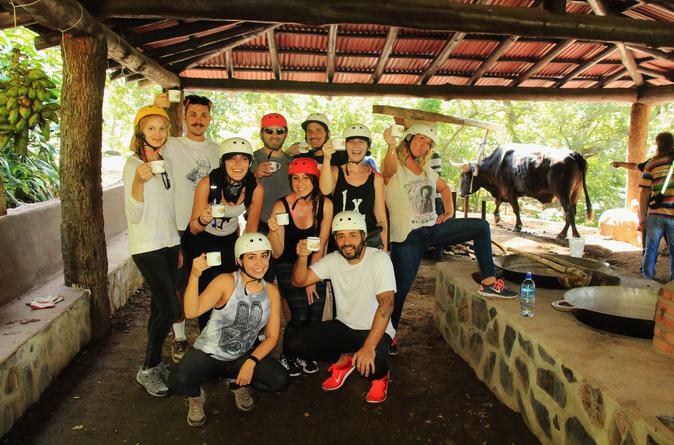 Go horseback riding, ziplining, visit waterfalls and hot springs all in one day and place. 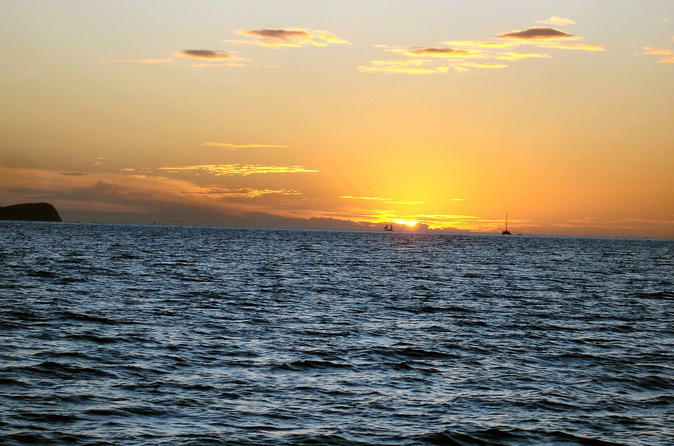 Enjoy the sunset from the water during a late afternoon cruise around the Papagayo Gulf. A slow cruising tour allows you to take in the view and possibly spot dolphins, manta rays and whales while enjoying a selection of wine, beer and hors d'oeuvres like fresh fruit and a charcuterie plate. 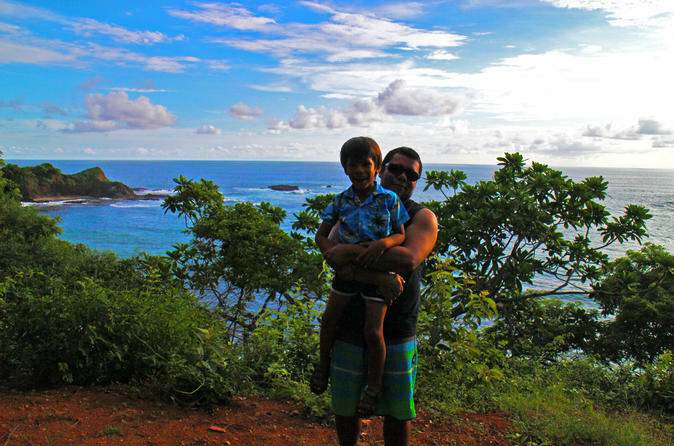 Embark on a full week guided tour of Guanacaste Costa Rica, starting at Liberia International Airport Daniel Oduber. Explore the Guanacaste beaches and its mountains. Airport transportation is provided with cold beverages, zip lining, water falls, horseback mountains, surfing and beaches. Accommodations will be set in private houses and hotels. The activities available provide endless hours of entertainment with something suitable for everyone. 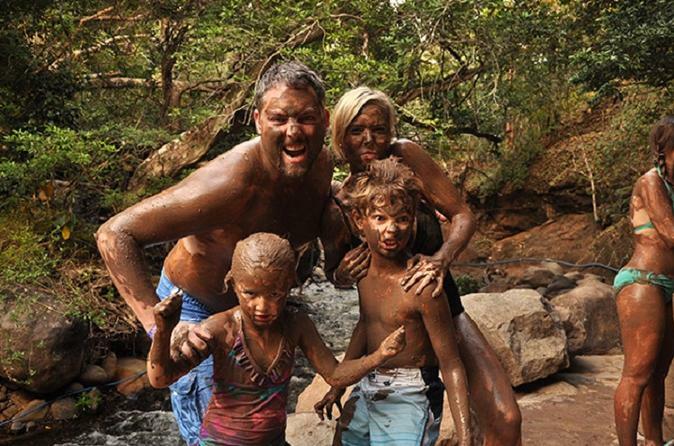 You can participate in a mineral mud bath, soar over treetops, tour gardens or get your adrenaline fix on the water slide. Explore the beauty of mother nature, feast on tropical delicacies, learn about local culture and let go of your daily routine. This is a perfect choice for anyone looking to maximize their day! Guests can immerse themselves in natural beauty while enjoying top notch services, elegant facilities and very friendly staff. The facilities showcase local architecture that is designed to show off all the natural assets of the area, from certain points on the property you can view the coastal shoreline and the Rincon de la Vieja volcano.